1. After Katniss shoots an arrow at the Gamemakers, she mostly worried about one thing. What is her biggest concern? 2. Sometimes an oppressive government's own rules prevent them from easily punishing those who upset them. Katniss worries about being arrested for her actions. What reasons are given for the unlikeness of that happening? She also worries about her family being harmed. Why is it unlikely her family will be harmed for her actions in the private training session? 3. What score was Rue given and why is that surprising? 4. What score was Katniss given? What possible reason was given for her surprisingly high score? How was it tied in with the theme of "the girl who was in fire"? 5. 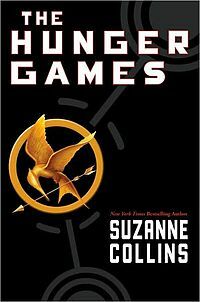 In this chapter, Katniss remembers when she first met Gale and how they came to be hunting partners. She says that she's a better hunger when he is with her. How is that? What is special about their relationship? 6. Katniss compares her relationship with Gale and her relationship with Peeta. How are they different? 7. What is a foil? Which characters are being used as foils of each other in this chapter? 8. When Katniss walks into breakfast, the team is huddled over the table talking in hushed tones. What do you think they are talking about (specifically) given how the chapter ends?